This year, approximately 85,000 to 88,000 hopefuls took the University of the Philippines College Admission Test. Though an alumna, I still find the numbers overwhelming. That is to take into consideration that a couple and then some years ago, I took the same exam without the foggiest idea that thousands after thousands try to get into the country’s premier state university yearly. 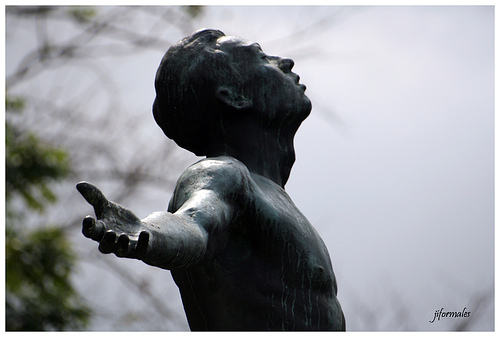 I did not know who Oble was much less the existence of the word oblation. I was that clueless and ignorant. Coming from a town where it was more or less a given that high school graduates either go to the nearest city or the province’s capital for college, I somehow expected the country’s Summer Capital to be my next home for the next four years or so. So three or four months before graduation, all these universities and colleges visited public and private high schools to bait new fish into their institutions. Those that required college admission tests even went as far as to bring the exams to a common testing center in the province, to save us from taking the six-hour bus ride to the city just for this. I never really had clear plans for college. All I knew was that I’d probably enroll in a good university and take up Nursing because that was what my mother said. And I was cool with that. I loved school. Strange as it may sound but I loved doing home works and reports and exams. But at the same time, I took every opportunity to get a break from school. If taking college exams meant a very valid excuse to be off school, I took all those exams. UPCAT included. So yes, I took UPCAT for the sole reason that I wanted to have a day off school. That was how much of a numb skull I was with regards to making decisions for college. I was so clueless about the opportunities, growth, and edge an Isko will have with UP being the final step before starting in the real world. Some even enroll in review classes purposefully for the test, which I came to learn later on. Kumbaga sa Hunger Games, sila yung careers. And there I was who only saw the exam as a means to skip classes. But I guess all the ancient gods and demi-gods of my tribe smiled down on me that day. And yes, I probably paid attention in most of my subjects. That too. That was basically how I underwent UPCAT. Armed with sheer confidence (or not), two packs of Nagaraya, and the bliss of skipping school that day, I leisurely took the exam and shaded those boxes without any pressure, and noticing every now and then that the proctor was cute. After the long hours, I was just so glad to get out from the testing rooms and was excited about my next meal. I remember it was raining that time and it was hard getting a pedicab ride to the eateries so my classmates and I crowded around this sari-sari store near the school instead. It was chi-chiria and soft drinks galore till we had to take the last jeep back home. It was a well-spent day away from school and I never really thought about the test after that. The school year was about to end. Everyone had decided where to enroll to already. My mind was 70% made up that I will take veterinary medicine in another state university. Then it was summer. Someone said I made it. I was cynical as I never received any mails (we live in the mountains hence maybe the delay). Days passed and there was still no letter to confirm so I went to one of the few internet shops in town just to check, (again, we live in the mountains and the internet access back then was close to nil). I checked my name and there it was. I was happy. But my mother was happier. So yes, from Nursing to DVM to being a bona fide Iska at University of the Philippines-Diliman’s College of Mass Communication, that’s how it went. 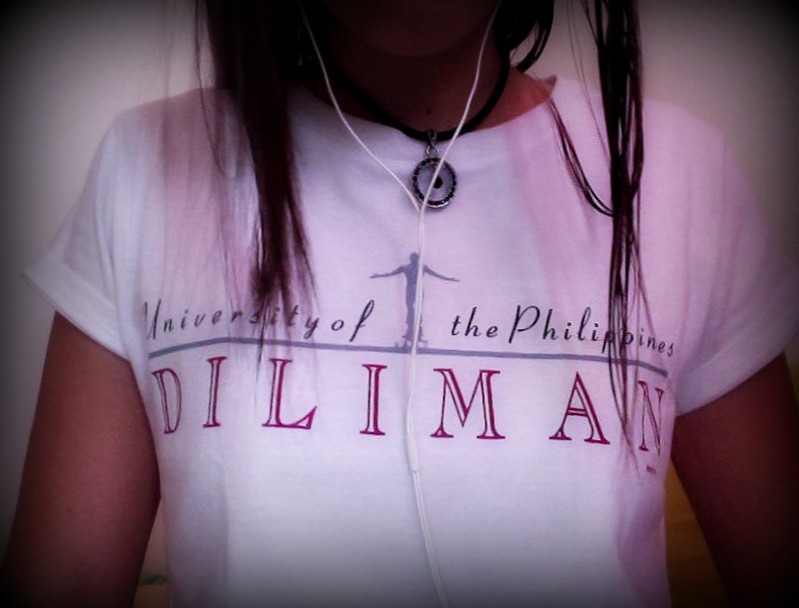 Maroons, I subscribe to every UP page on Facebook and hope to someday see my kids study in the same school. I would maybe encourage them to review and thoroughly prepare so they could get in as Oblation scholars (ambisyosa lang, haha) and not just pass the qualifying exam by a hair’s breadth like their mother. To those who will soon be sharing their UPCAT stories, hoping the odds were in your favor during the test and that such will still be the case for the bigger test after–once you become an Isko or an Iska. Great writing Gayamen. I would not have finished college if I did not pass the UPCAT and became Iskolar ng bayan. Good luck to those who are taking UPCAT!